Tucker stops by LA sneaker shop in practice clothes. Always excited to play at Staples Center, P.J. Tucker couldn't wait to add another pair of exclusive Air Jordans to his collection. Earlier today, the Phoenix Suns forward was pictured outside of sneaker shop RIF LA — still wearing his shootaround gear. The trip, about 15-20 minutes from the arena, was well worth it. 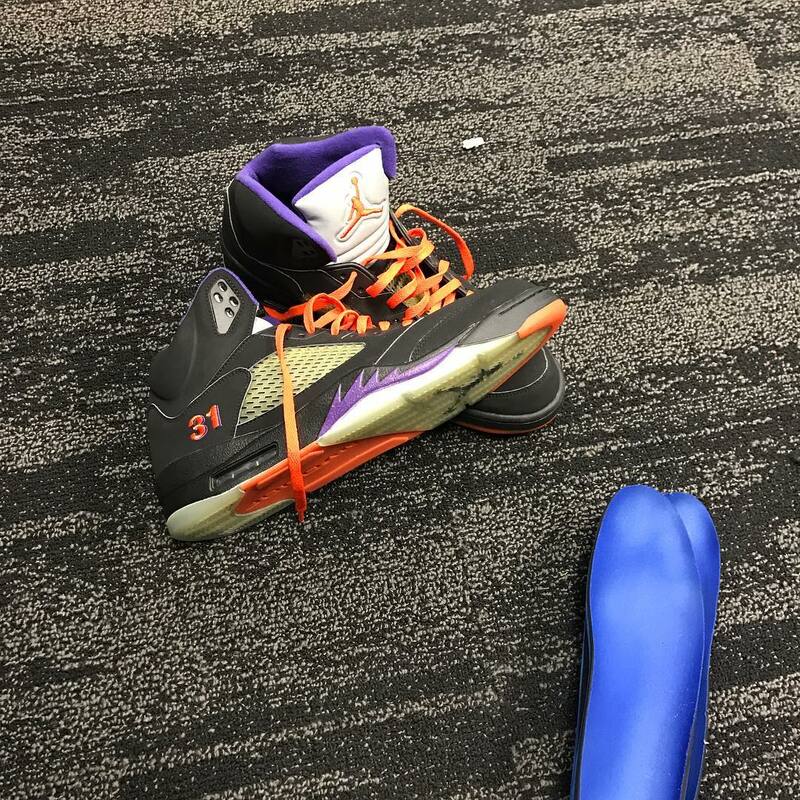 As written on the brown shipping box in the photo, he picked up Shawn Marion's "Away" Air Jordan 5 PE from the 2006-07 season. Last season, Tucker wore the "Home" Marion PE. 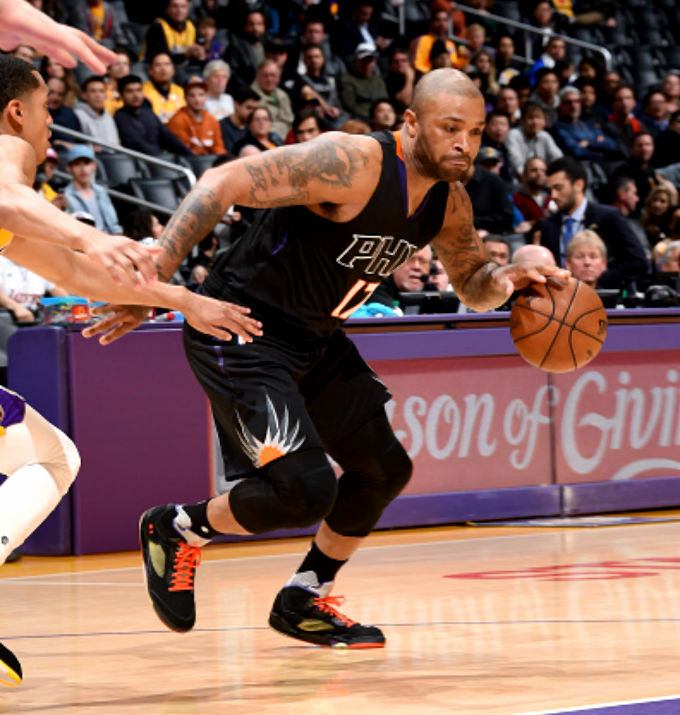 Wearing the rare Jordans, which held up surprisingly well, Tucker finished with 4 points and 5 rebounds in the Suns' 119-115 road victory.